Observation - Pulmonaria officinalis - UK and Ireland. Description: A lungwort with spotted leaves growing alongside woodland path. 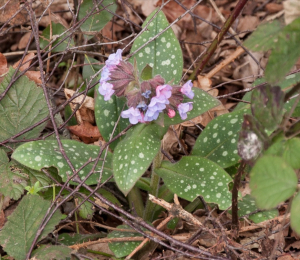 A lungwort with spotted leaves growing alongside woodland path.